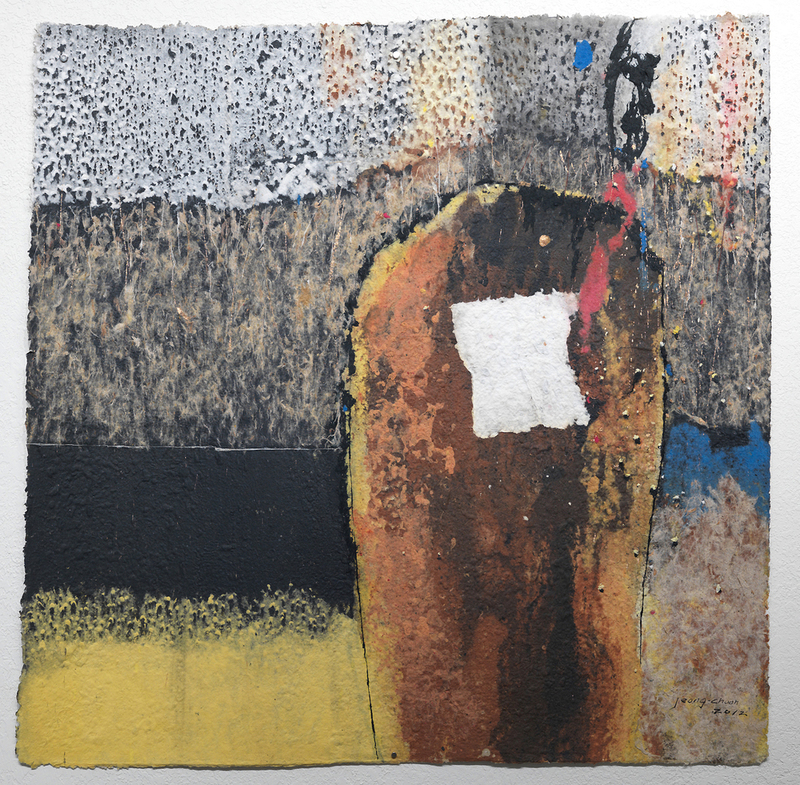 South Korean artists Jeong Han Yun and his wife, Choon Hyang Yun have been widely acknowledged for their advancement in the field of papermaking in an artistic format. The materials for their works are sourced from the bark and flowers of the ancient Southeast Asian Dak tree, and this is a deeply personal experience for the artists. Jeong Han has explained that he feels “his heart beat when Dak trees are found and is appetized when the barks are peeled off.” For him, his very self is stored in the paper, and the fibers are like his genes and DNA. Choon has been working with traditional Asian paper since 1985, and has been internationally recognized for her work. Through a fusion of Western and Asian papermaking techniques, which includes dying the pulp with the flowers of the tree, Jeong Han and Choon create vibrant, harmonious compositions, entirely unique in their textural landscape.